Instructor-led training through an MEF-ATP is the preparation method used by more than 80% of successful MEF-CECP candidates. MEF-NF and MEF-SDN/NFV training is offered through select MEF-ATPs at this time. MEF has developed a network of Accredited Training Providers (MEF-ATPs) to provide MEF-NF and MEF-CECP training. These industry subject matter experts have each been audited by MEF to ensure that their courseware meets or exceeds the requirements for their students to achieve not only MEF-CECP, but the latest MEF-NF certification. MEF provides MEF technical specifications and white papers which are all required reading in preparation for the MEF exams. MEF has also created the MEF Reference Wiki. The Reference Wiki includes a compilation of the MEF technical specifications and covers the essentials of the topics covered on the related exam topics in an easy to navigate format with direct links to further study materials. It also contains a gallery of diagrams used by the MEF, a glossary of terms, and a consolidated list of links to all reference documents. The "Exam Blueprints" are of foremost interest and on this site you will find links to these resources. Instructor–led training through an MEF Accredited Training Provider (MEF-ATP) is the preferred and utilized by more than 80% of successful MEF-CECP candidates. This option enables more thorough yet focused coverage of the study materials, and as such can be a time saving preparation alternative for busy professionals. MEF has developed a network of Accredited Training Providers (MEF-ATPs) to provide training for MEF Certified Professional exams. These industry subject matter experts have each been audited by MEF to ensure that their courseware meets or exceeds the requirements for their students to achieve certification. Most MEF-ATPs offer class training, or private onsite for corporate group training in almost any location worldwide. Most will also administer the MEF exams immediately following their training class. While the MEF accreditation program verifies the basic competency of the training companies, there are a number of individual factors—including the number of MEF Certified Professionals taught by the MEF-ATP, the cumulative pass rate, length, and tuition cost of the course—that the MEF does not regulate and should be considered when evaluating a MEF-ATP company. Why study with an MEF-ATP rather than going at it alone? MEF-ATP training programs range from three to five days. This significantly reduces your study time. Learn from subject matter experts that have been audited and are regularly monitored by MEF. Nothing beats an interactive, instructor-led learning experience! Aragami Tech & Digital now offers virtual training for MEF certification courses. Our new MEF-NF blended learning module comprises self-study (videos, reading lists, exercises and assignments, etc) and online instructor-led content (webinars) delivered over a course of 4 weeks. The Moodle-type course requires the student to complete a series of curated self-study material, and participate in two live instructor-led webinars, where candidates get an opportunity to discuss the content with the course tutor. This is not a bootcamp, and the expectation is that the student will gain an in-depth understanding of the course material, as well as be prepared for the certification exam. We are a specialist technical training consultancy with highly qualified trainers who develop and deliver effective technical and eLearning training programmes for telecommunications sector personnel. Our training content is MEF-accredited, and training delivery options can be customised to fit around your candidates' schedules and other commitments. We pride ourselves on our intensely student-centric training approach. Our training focuses on getting course attendees to understand key concepts, which enables them to tackle exam questions successfully, and perform better at the workplace. For more information, please visit http://aragami.co.uk/blendednf.html to see how we can offer a solution that suits your training needs. Winner of the ‘Accredited Training Provider of the Year’ MEF18 Excellence Award, the Carrier Ethernet Academy (CEA) is MEF's leading ATP for MEF-CECP training. 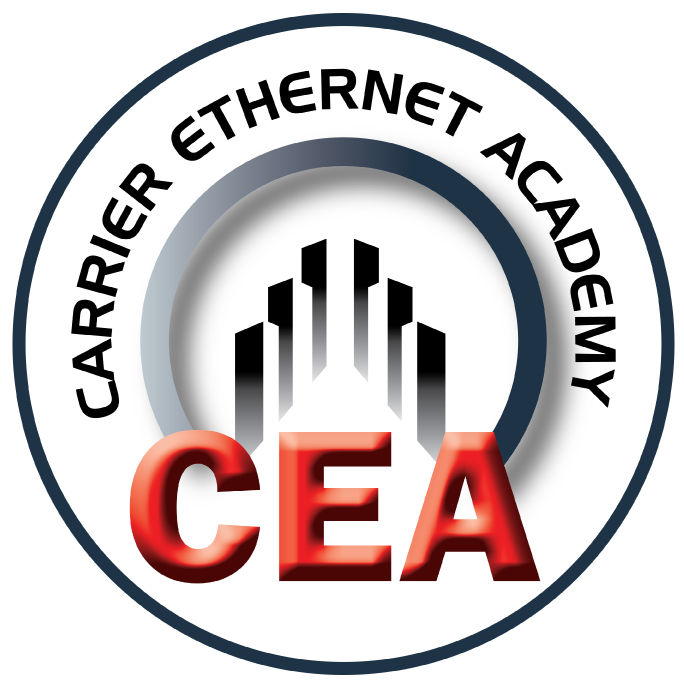 CEA is the industry's first and only training institution focused exclusively on Carrier Ethernet and the work of MEF. Its instructors have been actively working in the industry and have years of real-world experience deploying Carrier Ethernet, and have been active contributors to the MEF’s Technical and Certification committees. For more information on the Carrier Ethernet Academy’s MEF-CECP Boot Camp training, and a list of equipment vendor and service provider alumni, please visit www.carrierethernetacademy.com. The SDN/NFV Academy is a Campus of the Carrier Ethernet Academy (CEA), and is focused exclusively on SDN and NFV, including network automation/orchestration and transformational network applications like SD-WAN. As a long standing MEF ATP, we know what it takes to prepare professionals to pass the MEF’s rigorous certification exams on their way to earning the telecommunication industry’s most prestigious certifications. The SDN/NFV Academy leverages CEA’s years of success with a proven course design that prepares the next generation of telecommunications professionals. For more information on the SDN/NFV Academy’s SDN/NFV Boot Camp training, please visit www.sdnnfvacademy.com. Criterion Networks provide cloud-based network transformation acceleration solutions enabling the move to SD-WAN, network virtualization and automation use-cases. Criterion Networks is an MEF Accredited Training Provider. We offer trainings, learning-labs, sandboxes and advanced workshop in SDN, NFV, SDWAN and network automation domain. To enable faster adoption of next generation networks, Criterion Networks has built an end-to-end portfolio of products and cloud services to help service providers and enterprises in each and every step of their transformation journey. ECI belongs to a prestigious group of MEF Accredited Training Providers that provide preparation courses for the MEF-CECP certification exam. ECI instructors are certified and have years of industry and teaching experience. ECI Training Services offer tailor-made training workshops with in-depth instruction. Courses and workshops are held either at ECI training centers or on customer premises. Fujitsu provides different MEF-CECP exam preparation options. These include a classroom-based course (taught at your site or at a Fujitsu training facility), the industry’s most comprehensive MEF-CECP study guide "MEF-CECP Study Guide for Carrier Ethernet Professionals" (available in paperback and eBook editions for Kindle and iPad/Android tablets), the "Introduction to Carrier Ethernet: A foundation for MEF-CECP training" study guide, and the MEF-CECP Exam Trainer app providing practice test questions & answers for iPhone/iPad, Android and Windows 8 devices. Fujitsu has educated over 4000 Carrier Ethernet professionals via its MEF-CECP training course, CE study guides and MEF-CECP app. Fujitsu MEF-CECP training material was created by expert MEF professionals including an MEF Distinguished Fellow, the creator of the MEF Professional Certification Program, MEF-CECPs, and co-authors of the MEF-CECP exam questions. With a complete range of MEF certified learning Perpetual Solutions is your No.1 destination for your next professional certification. Founded in 1999, we are an inaugural member of the MEF-ATP program with unrivalled experience delivering Carrier Ethernet (MEF-CECP), SDN/NFV and MEF 3.0 knowledge to service providers, operators, vendors, systems integrators and enterprises in 60+ countries. With over 15 practical hands-on labs for SDN/NFV including multiple controller types, virtualization, use-cases including BGP-LS, OVS & Service Function Chaining, Python scripting and DevOpS, we deliver real world skills that make a difference to your project. 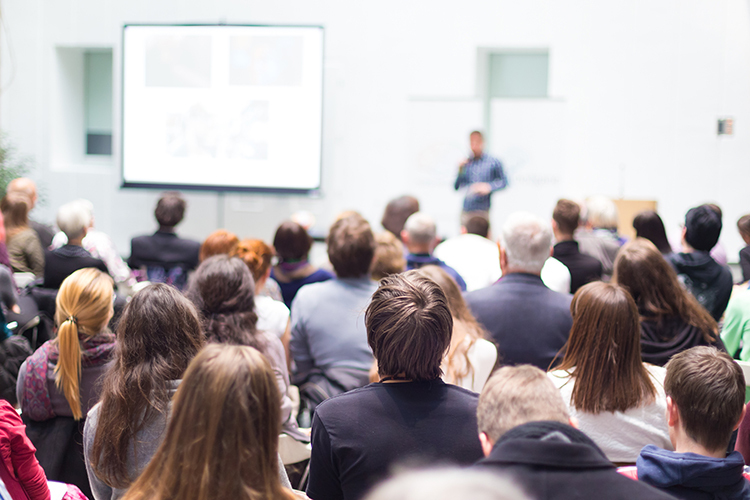 Delivery formats include virtual and physical classrooms for individuals, whilst for single organizations we cover all you need from C-level briefings by industry recognized experts through to workshops for network engineers & architects, product managers, software developers, IT Infrastructure, technical sales and non-technical roles. These customized programs deliver knowledge in multiple formats, standardizing skillsets to embed a ‘common language’ across the organization. In fast changing technical landscapes delivering knowledge that enables workforce collaboration is critical for future success. Tech 2000 is an MEF Accredited Training Provider, an Apple Authorized Training Provider (AATP), and a Cisco Platinum Learning Partner. 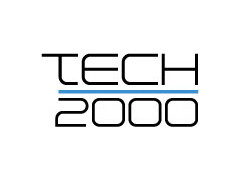 Tech 2000 has been a MEF-ATP since 2011 and deliver training with our experts in the carrier Ethernet field. We offer MEF-CECP training in multiple formats, ILT, VILT, Digital Learning, additionally offer assessments to go along with our training which helps ensure you pass the MEF-CECP exam along with a pass guarantee. For our public training schedule, click here. For additional information or onsite training, click one of the links below, visit https://t2000inc.com/training/mef/ or give us a call 703.467.8600.